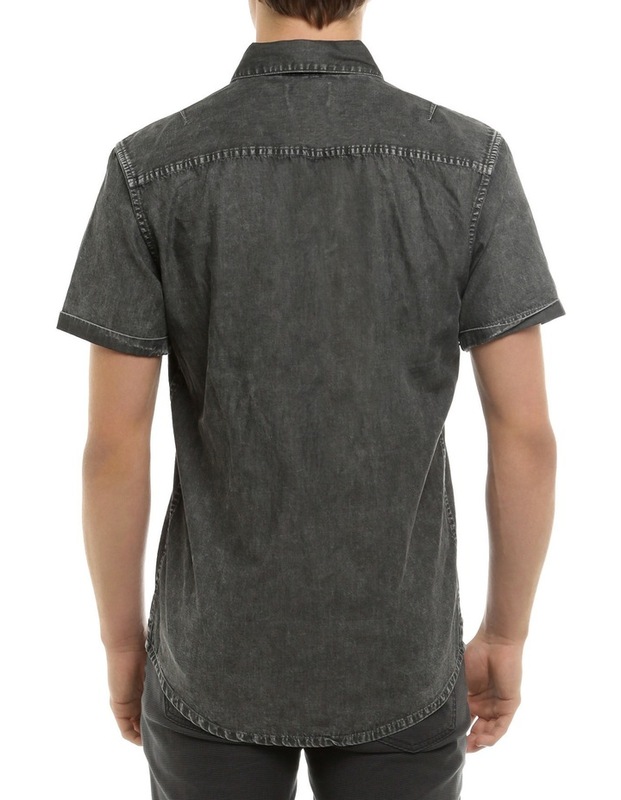 Mens Broods SS Shirt by Article No.1. 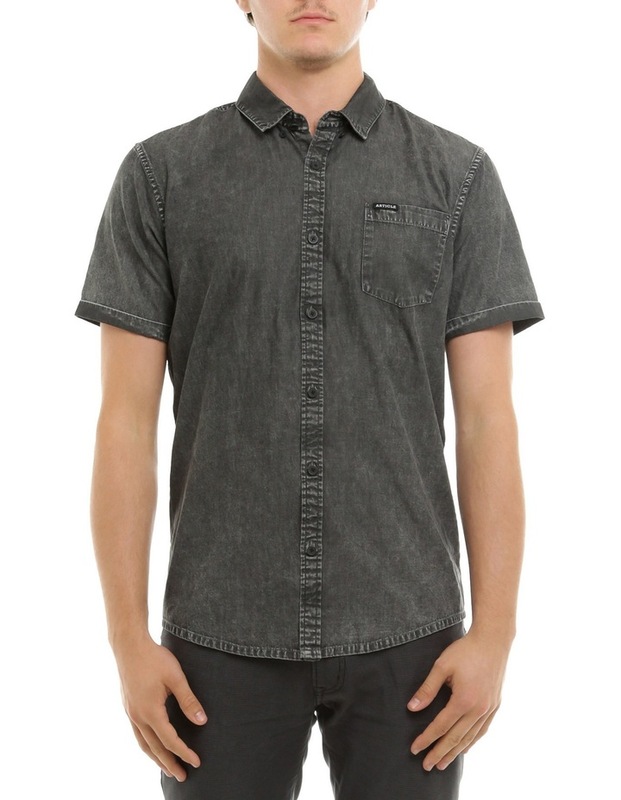 Update your wardrobe staples with the Broods SS Shirt. 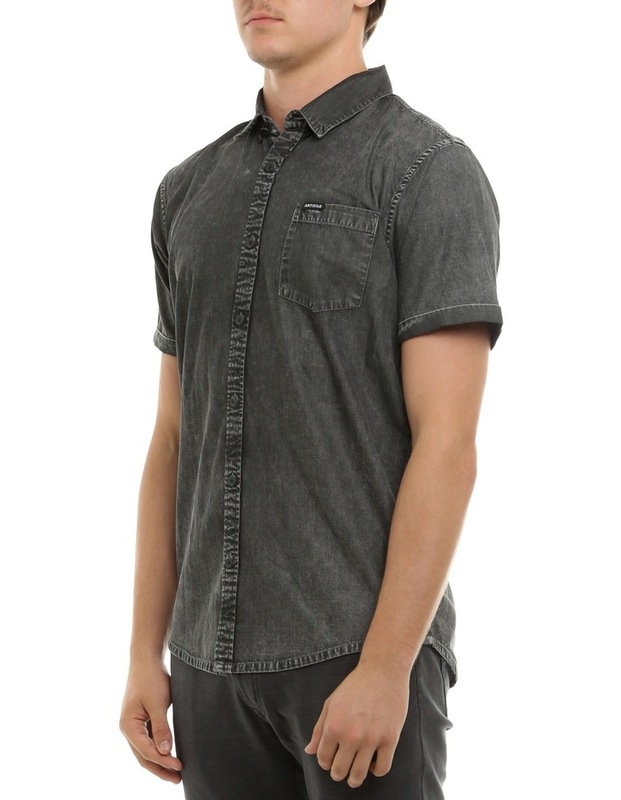 Made from 100% cotton chambray with heavy acid wash and classic button down styling and rolled cuffs.